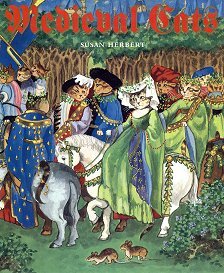 This delightful book contains the detailed illustrations of Susan Herbert. Beautifully colored and illustrated, she has reproduced famous paintings and inserted cats. There are images from medieval chivalry, the Book of Hours -- all based on authentic works of art from the 13th to 16th centuries. Hardbound; 64 pages. New.